LINDA HOYLE released her debut album “Pieces Of Me” in 1971 on the famous Vertigo label having fronted previously the band AFFINITY. Now some 44 years later she has recorded as a follow up a fresh stunning new album with a stellar cast of musicians produced by her long time friend and former bandmate MO FOSTER. 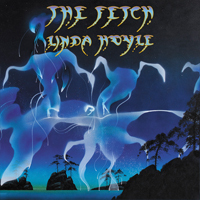 “The Fetch” displays beautiful production, first class musicianship and outstanding vocals from Linda on a great collection of songs spanning a number of musical genres with lyrics that are autobiographical, witty and dark. In addition ROGER DEAN the iconic artist has painted original art for the album. To return to Music after so long a break and to then create a CD this good is a testament to the talent Linda Hoyle. She's lost nothing of her late 60s and early 70s talents. I loved her voice then and - with maturity - it has grown in stature but mellowed and yet retains utterly engaging. Once you have got hooked on Linda's voice then buy "Affinity" and be amazed by songs like "Coconut Grove" and the very extended version of "All Along The Watchtower". Good Lord, talk about a long break between albums! It was way back in 1971 when Linda Hoyle released her debut, PIECE OF ME. Previously, she'd been in a band called Affinity. Now, 45 years later, we get THE FETCH, which is a reasonably...well, fetching collection of emotive, adult tunes about life and love and yearning. There's a drowsy, late-night feel to tunes like "Cut and Run" and "Confessional" that can make you drift off to sleep if you're just kinda lying around listening. The bass is a bit jazzy and the guitars somewhere between proggy and ambient; all instruments serve Hoyle's mature voice, which has a warmth and sincerity to it that can pull you in if you are relaxed enough. At the same time, it's not really that GRABBY, and Hoyle serves up a sound and aesthetic here that seem to come from a time now forgotten. I guess that is actually the case, and things FORGOTTEN are part of the subject matter here. "I sat beside a suicide whose love I sadly lost/Led a milkman's horse to water as we slipped across the frost/Spent my youth researching meaning that was cheap at twice the cost" Hoyle sings in "Confessional," as a litany of various memories floats by lyrically. It's the sound of a woman who knows she has seen a lot of years, and yet is still moved by things. ....she is able to touch the spirit with her sentiments and her clear emotional delivery. THE FETCH is one woman's personal update of a life she's known, many years after the events happened. It's nostalgic, wise, and melancholy, and unerringly human in an era where cheap gimmicks and flashy technology tend to draw the most attention. Albums like this one are few and far between, and it's true when you have class, talent and soul like Linda Hoyle has, it will always manifest itself in albums as great as this one. With the tenor of a British Janis Joplin Linda's voice has aged considerably. But her unique bluesy sound doesn't change. The music has the feel of a British style AOR and the performance by the talented musicians is likeable. I don't want you to expect the phantom of Affinity, I want you to judge this as the good work of a veteran female singer. Since the 1971 release of the masterpiece Piece of Me, 44 years later a second solo album is realised. Mo Foster, leader at the time, is taking part. The artwork is Roger Dean and expectation is high. Ray Russell, Katie Husband etc, in the back the legends are active. Organic feeling of floating and beautiful transparency support every track...the expressiveness of the mixture of folk and jazz is amazing. Demanding your full attention, Hoyle's voice is the star of the show, having lost none of its unique mix of power and delicacy. It's your guide through 12 tracks of jazzy folk, with melancholy, nostalgic lyrics and notable influences from The Great American Songbook ('It's The World'). On the last track "Acknowledgements" Hoyle lists the artists she has worked with and has been influenced by in a very beautiful tribute . A very classy move by Hoyle. For softer and gentler fare with lovely vocals, The Fetch is in a word sublime. It does not get much classier than this. ...Always cozy jazz on 'Brighton Pier' which features the cello and a light saxophone. The sound palette is further enriched on 'It's A World' with violin, mandolin and accordion, voice and intoxicating beauty. Distinguished guest BJ Cole (ex-Cochise) provides pedal steel guitar illuminating 'Snowy Night'...the track 'Earth and Stars' is loosely based on Dido's Lament PURCELL, and frankly we are in a state of grace by so much beauty. The album ends with the beautiful 'Acknowledgments', including church organ, piano, acoustic guitar, and is almost religious, with a choir. This is a surprising return, and a triumphant one. The album has genuine depths in the songwriting and production, whilst Hoyle's singing is timewarped from the '70s in an astonishing resurrection of talent. Closer 'Acknowledgements' is a hoot, by the way: a hymnal litany of other singers/performers as influence, and acknowledgement of such. ...it is a waste of time to judge songs that are better than others in this album because the general level is so high and the arrangements superfine. They are all compositions that, as Hoyle notes, are new - not accumulated over these 44 years of silence...The Fetch is a disk from other times, composed by an extraordinary artist and singer that we no longer find. We continue to wait eagerly for other amazing adventures of the English lady. Long live Linda Hoyle. Joining Linda on this album are Mo Foster, Oliver Whitehead, Corrina Silvester, Ray Russell, Gary Husband, and Nick Nicholas. These intricate complex songs feature exceedingly perfect arrangements, super intelligent lyrics, and some truly superb lead vocals. The Fetch seems to exist in that perfect arena where the past meets the present. Twelve cool moody reflective cuts including "The Fetch," "It's The World," "So Simple," and "Earth and Stars." The Fetch is a highly enjoyable album that defies easy categorisation - Linda would not have it any other way! - and one that any lover of 'the song' in all its forms will enjoy, a must for those of us who remember, even at some years remove via the arcane delights of record collecting, the belting jazz rock of Affinity and Linda's more eclectic 1970 solo album Pieces Of Me. Linda, having rediscovered her muse, is eager to make more music, and with the tantalising prospect of UK gigs in the hopefully not too distant future, things are looking good for Linda Hoyle, and I for one will be following this late blooming with anticipation. The drift may get spiritual as it does in 'Snowy Night' when BJ Cole's steel kisses Linda's silvery vocals and in the celestial soundscape of 'Earth And Stars' that's based on a Henry Purcell melody, but the singer never veers too much away from jazz, an integral part of her artistic manner. So, although the graceful hope of 'It's The World' is covered with a fiddle-embroidered patina, a brassy uplift wraps the deceptively introspective, if full of funny moments, 'Confessional' - rendered nocturnal thanks to Gary Husband's gentle shots and splashes and Ray Russell's strum. Visionary lyrics and a voice that drips expression are never far from view, and The Fetch lines up among this year's most unexpected comebacks, as well as one of its most welcome. Linda proves to us that she certainly has not finished singing because a disc like this can only be created by talented musicians, and each of them has contributed in a glorious way. Hoyle's impeccable craft and vocal style sound a bit precious against a shifting musical background that scans English folk, fusion, and a bit of prog rock to match the motif of her album cover art.